Mollie was born sometime between 1869 and 1872, with dates differing depending on the document. She immigrated from Poland/Russia between 1888/1889. I can not find any records for her immigration. We know from the wedding announcement for Mollie’s brother Ike (1903) that their mother Ida was alive and in New York attending Ike’s marriage. I could not locate anything that indicated Ida was here for Mollie’s marriage. Clearly recorded beside ‘Number of Bride’s Marriage’ is the address 177 E. Broadway. I just had to stop and take a look at this address. 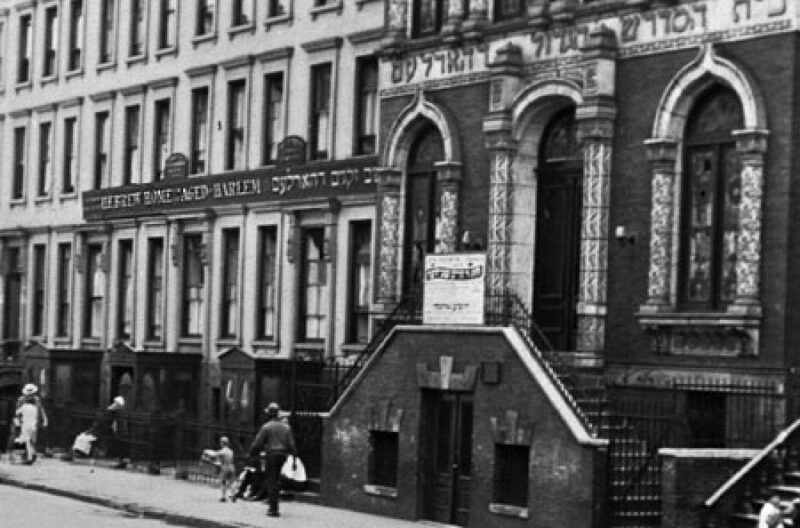 This address, is the church to the left of The Forward Building, home to the socialist newspaper begun in 1897 by 50 Yiddish speaking socialist who had formed three months prior as the Forward Publishing Company. Wikipedia reports “it was one of the most influential American Jewish Publications” wikepdia.org You can see the cross at the top of the building which I imagine back then housed the Congregation Ezras Achim Anshei, Kiev. Hyman and Mollies first son Joseph was born in 1897 and their second son Jacob was born in 1899. Mollie Cohn nee Lifschitz passed away on the 10th of March, 1922. Her death certificate says she was 53 and passed due to chronic myocarditis with acute gastritis contributing. She was buried at Mt. Carmel Cemetery, Queens, New York. The rabbit holes I have fallen into continue to get deeper, totally taking me off task and into new directions. After the last post, I heard from another DNA connected cousin (with an unproven line of connection) regarding a few things that rang a bell for her. Her name is Gail Samowitz and we met via the FB genealogy page Tracing The Tribe back about 2015. We have corresponded off and on over the last few years but have never established our shared connection. Fast forward to the last post when we began looking at records together and sharing thoughts and ideas. Above is the census document for Simon and Annie. The address is 1422 Minford Place, Bronx. They were occupying this address since 1935 according to the census. This was the home they came back to after living in New Jersey where Simon was tending to the chickens business. Simon had resumed his profession as a tailor and their grandson Charles Joffe was living with them. Charles was listed as a new worker. They were renting at this address from the owners of 1422 Minford Pl., Bronx. The owners were Benjamin (59) Saltzman and his wife, his new bride, Dora Saltzman (58). They were also living at this address with Simon and Annie. Benjamin was the proprietor of a candy store. However, the home at 1422 Minford Pl., actually belonged to Dora and would be passed down through her family. Gail and I have established that Benjamin and Dora were married sometime between 1933 – 1935 after the passing of her husband Israel Schulman on April 13, 1933. No marriage certificate has been found at this time for Benjamin and Dora Saltzman. Living at this same 1422 Minford Pl. address was Dora’s sister Goldie (55), her husband Benjamin (55) Samowitz and their son Abraham (28). Benjamin was a machine operator in a cloak factory and Abraham was a stock clerk at a knit good factory. What connects all this is that Benjamin and Goldie are Gail Samowitz’s grandparents and Abraham is Gail’s father. The home at 1422 Minford Pl. belonged to Dora and her husband Israel and not to Benjamin Saltzman, that is why it passed eventually to her nephew, Gail’s father Abraham. Lets not forget that Gail and I have a DNA connection. Coincidence or family connection? That is what we are trying to figure out. From 1915c up to some time prior to 1925c Dora and husband Israel were living just 2 doors away from – yes, Simon and Annie at the 1422 Stebbin’s Ave at 1426. What kept these two families living so close together? Goldie and her son Abraham arrived in 1922 joining her husband Benjamin Samowitz who was already here establishing a home for them. As if I haven’t already established an interesting connections – Benjamin’s WWI draft record throws an additional interesting twist into the story. Benjamin’s last name was originally Chanowitz. Very similar to Haimowitz, often seen as Chaimowitz, and all variants of endings vici, vitz, witch, vitch, the m as an n, the i missing…..I know I am stretching; but trying to look at everything. At some point the name was changed. I don’t want to get to far off track with this post but here are the two draft registration records Gail believes are for her grandfather. I agree. Gail reported that a Frieda Samowitz Blum lived at the 394 New Jersey Ave., Brooklyn address. Gail has a definite DNA match with the Blum family as well. Below, the 1920c record lists Benjamin Samowitz living at the 38 Jefferson St. address, the same as on his WW1 draft record. The only reason I am adding this record at this time is to point out that Benjamin is living with Sam and Rose Lippman. Could Lippman have been Lipschitz It just seems to open up and continue the dialog of between the connection of these families. 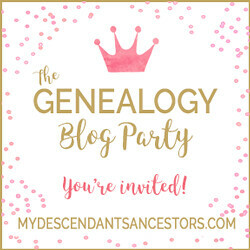 So the question remains and Gail and I will continue to try and put together the possible connection of the Lipshitz and Samowitz families and our DNA connection. While rechecking and working on the ‘above’ somehow and I don’t know how, I noticed a record on ancestry for Moses, the oldest and first son of Simon and Annie Lifshitz that peeked my interest. Simon is the brother of my great grandfather Benjamin, my great uncle and Moses is my 1st cousin 2x removed. 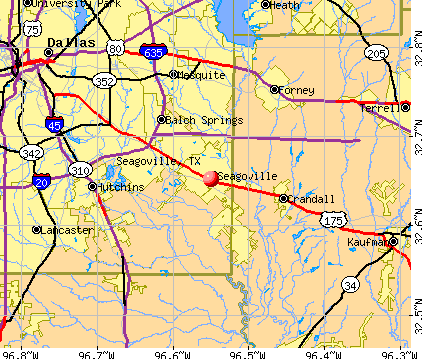 Born 24 March, 1896, he passed away on 24 July, 1955 in Seagoville, Texas. But first let me tell you a little bit more about Moses before he died. Citing this Record “New York, New York City Marriage Records, 1829-1940,” database, FamilySearch(https://familysearch.org/ark:/61903/1:1:2487-Z8F : 10 February 2018), Moe Lifshitz and Fray Parrer, 16 Jan 1930; citing Marriage, Manhattan, New York, New York, United States, New York City Municipal Archives, New York; FHL microfilm 1,653,973. By 1940, another picture had begun to emerge. Fay (36) was now divorced and working in Millinery as a saleslady. Son David was 16 and her sister Shirley Luskin (31), married, was living with then at 1511 Sterling Pl., Brooklyn. So where was Moe? “United States Census, 1940,” database with images, FamilySearch (https://familysearch.org/ark:/61903/1:1:KQM5-B1D : accessed 7 April 2018), Moe Lilshitz, Dannemora, Dannemora Town, Clinton, New York, United States; citing enumeration district (ED) 10-18, sheet 15B, line 71, family , Sixteenth Census of the United States, 1940, NARA digital publication T627. Records of the Bureau of the Census, 1790 – 2007, RG 29. Washington, D.C.: National Archives and Records Administration, 2012, roll 2516. This of course led to the question – what in the world did he do? Why had Fay divorced him? I was totally blown away after finding this article, rereading it quite a few times. There were a few things that stood out in the article for me. The year of their marriage (1922 according to the article) contradicted the marriage record for them (see record) 1922 would make more sense siting the marriage date to Betty Wexelman of Feb. 1, 1930 and the age of son David. Citing this Record”New York, New York City Marriage Records, 1829-1940,” database, FamilySearch(https://familysearch.org/ark:/61903/1:1:2487-6QB : 10 February 2018), Joseph M. Schiffman and Rebecca Wexelman, 01 Feb 1930; citing Marriage, Manhattan, New York, New York, United States, New York City Municipal Archives, New York; FHL microfilm 1,653,974. Locating the 1930 census (April 24, 1930) for Betty Wexelman (21 & married) I found her living back at home with her parents Hyrum (Hyman) and Sarah at the 85 Penn St. address. Before I found the newspaper article I had asked myself, had Moe learned his lesson? The answer was undoubtably no. Bigamy and the forging of a $20 check led to a life of crime and prison. It was in Seagoville, 1955, at the Federal Correctional Institution that I found the death record for Moses/Moe, now under the name of Morris Lifshitz. He had only been in prison for 6 months before he passed away. Notice his parents names of Simon and Annie (Danufsky) confirming our Moe. It also appears his body was removed and returned to Hartford, CT.
Finding these type of family stories seem to give a jolt of adrenalin to push forward to see what else can be uncovered. It also reminds me that the ancestors of my past were truly flesh and blood, experiencing true joys and very deep lows in their lives just as we do. Their parents and siblings, children were real and deeply affected by each others actions. What happened to Fay and their son David? What led to Simon forging a $20 check…..$20 and bigamy that led to Sing Sing and Dannemora which led to the Federal Correctional Institution at Seagovolle, Texas. Looks like I am falling down that rabbit hole again.